Get the Full StoryAlexis Davis will look to get back into contention in the women's bantamweight division when she returns in December. Alexis Davis will step into the Octagon for the first time in over 18 months at the TUF 24 Finale. The former women's bantamweight title challenger will face off with a fellow former title challenger, Sara McMann, on December 3rd in Las Vegas. Brett Okamoto of ESPN reported the news. Davis 17-6, 4-1 UFC last competed at UFC 186 in April 2015, where she defeated Sarah Kaufman by submission. She has been out of action due to her having a child earlier this year. Davis also holds UFC wins over the likes of Jessica Eye and Liz Carmouche. 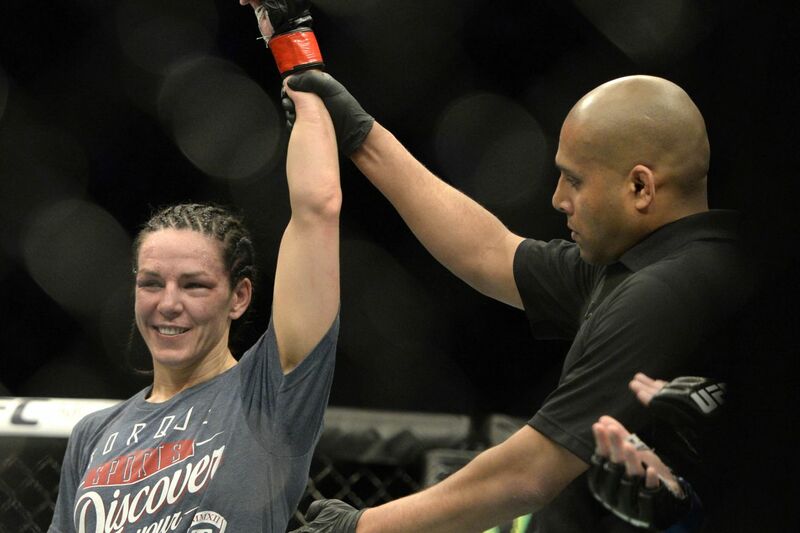 McMann 9-3, 3-3 UFC is coming off a decision win over Eye in May. The Olympic wrestling medalist broke a two-fight losing streak with that victory. The Ultimate Fighter 24 Finale goes down in The Palms, and will be headlined by Demetrious Johnson defending his UFC flyweight title against the winner of the TUF 24 125-lb. tournament. Coaches Joseph Benavidez and Henry Cejudo will also compete on the card.